Ipswich vs Rotherham predictions ahead of this game in the Championship on Saturday. Will the bottom side take this huge opportunity? Read on for our match preview and free betting tips. Ipswich saw their disastrous season continue on Saturday, with a 1-0 loss at Accrington Stanley. That was a low point in a season of poor results, leaving Paul Lambert under pressure very early in his reign. While he’s made steps in the right direction, he needs to do more, especially at Portman Road. They’ll be hoping to improve this weekend, as they prepare to face a Rotherham side who were also demolished this weekend. Man City ran out 7-0 winners at the Etihad, just how will that affect the Millers going into this trip? Ipswich would take a narrow 1-0 win, given the state they are in. They need to up their game, and facing the side who are 21st in the league seems like the best way to do just that. The Tractor Boys may have struggled at their own ground so far, but recent displays here have been better. They edged the first half against Millwall, before collapsing mid-way through the second. Before that, they beat Wigan 1-0 and held promotion hunting Sheffield United to a draw, so there are small signs that things are getting better. Rotherham are just three points above the drop zone, and an immediate return to League One can’t be ruled out. They come into this clash aiming to climb the table, but their away form has been dreadful. A 7-0 loss at City isn’t hugely relevant to their survival hopes, but it’s another loss on the road for the Millers. They’ve got the biggest dependence on home form in the league, with a huge 84% of their points coming at their own ground. Will this be another away setback? The visitors have lost nine times on the road, failing to win any of their 13 trips. They’ve averaged just 0.31 points per game, a terrible run which Ipswich need to take advantage of. This really is a final chance for the Tractor Boys to turn around their form, as they face the side with the league’s worst away record. The Millers have lost four of their last five games, while they’ve failed to score in almost half of their away games, conceding in 92% of them. We see the hosts edging this one, even if it’s not across the full 90 minutes. They’ve led 1-0 at half-time four times at home this season, but they’ve managed to claim three points here on one occasion. Rotherham have the third-worst record in the first half of away games, and they’ve lost eight of 13 second half matches on the road. We see Ipswich edging one of the two, so we’re backing the hosts to edge at least one of these two halves of football. 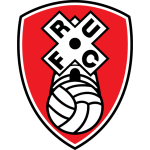 Each of Rotherham’s last 10 victories in the Championship have been by a single goal margin, last winning by more than one goal in the competition back in April 2016 (4-0 v MK Dons). 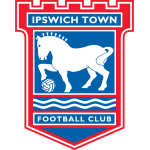 Converting three points for a win, each of the last 10 sides in the second tier to have accrued no more than Ipswich’s current tally of 15 points from 26 matches have gone on to be relegated – most recently Stockport County in 2001/02. Will Vaulks has been directly involved in five of Rotherham’s last nine league goals, scoring three while assisting a further two.